ATech Transmission is your one stop shop for all of your transmission and general auto repair needs. For nearly 19 years our ASE certified techs have been proudly providing top-notch service and unparalleled expertise to drivers in Hesperia, CA, making us one of the best names in automotive services. 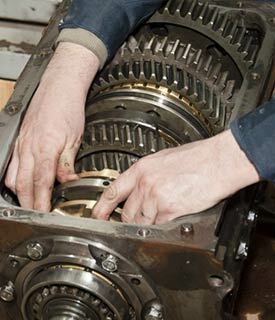 When it comes to your vehicle’s transmission, it pays to have an expert that you can trust. At ATech Transmission, our experience with vehicle transmission services and general auto repairs makes us a clear choice when your vehicle is experiencing problems or is in need of general maintenance. We service transmission replacement and repairs on all vehicle makes and models and our breadth of knowledge is unsurpassed. Our mechanics know the ins and outs of transfer cases, differentials and electronics, guaranteeing superior results when you need them most. 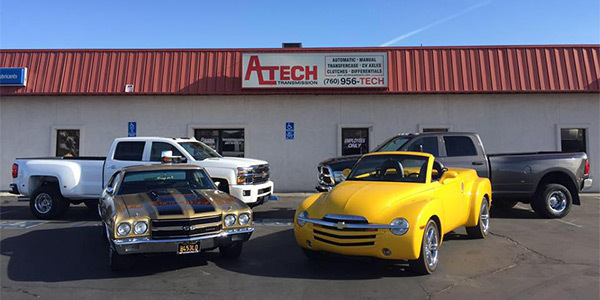 Choosing ATech Transmission means choosing quality and we’re proud to reinforce our stellar reputation for being a trusted source for auto repair in Hesperia, CA. Our transmission shop uses ASE certified techs for all of your auto repair needs. ATech Transmission is a member of the Chamber of Commerce in Hesperia, Victorville, and Apple Valley. We proudly offer our auto repair services in Hesperia and all surrounding communities. "As seen in other reviews, it seems Atech save people's vacations, their cars, their resources, and their sanity several times a week...they ..."
"I took my 05 saturn in , shifting hard. I noticed the intake came loose from the throttle body and fixed it before I took it in.They test d..."
"John and Paul are great to work with. They listen to what you need done. Very Honest, won't try to sell you what you don't need. High Qualit..."
"We do camp hosting work and were moving our '93 Cheve motor home from the Grand Canyon to Santa Barbara to start a new hosting position... h..."
Sign up with ATech Transmission today to see how we’re striving to deliver high quality, lasting repairs to all vehicles that we service!